Active outdoors every day in summer, speed hiking and trail running? 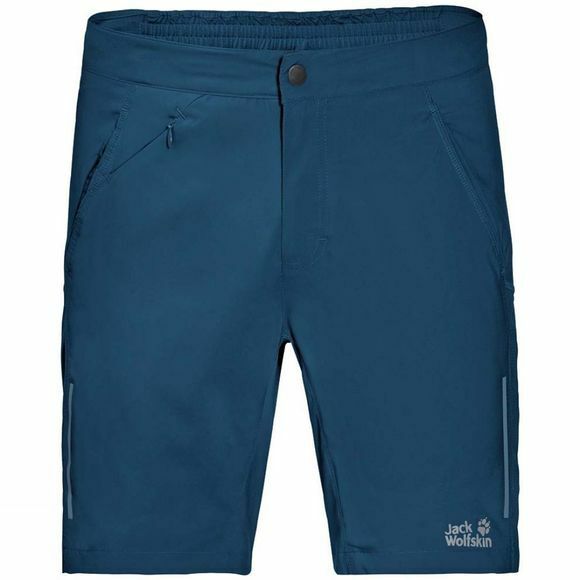 The Mens Passion Trail XT Shorts from Jack Wolfskin are dynamic, sporty and agile–just like you. These softshell shorts are incredibly light and stretchy, and the freedom of movement is superb. A mesh insert on the seat provides extra ventilation. Light showers simply bead up and run off the fabric. And they're ultra fast drying, too–a big plus in hot, sweaty weather or if you need to give them a quick wash through.